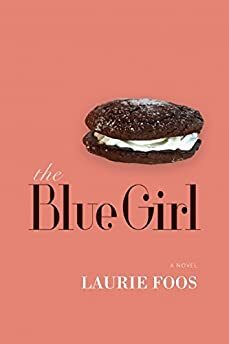 Largehearted Boy: Book Notes - Laurie Foos "The Blue Girl"
Book Notes - Laurie Foos "The Blue Girl"
Inventively told from six perspectives, Laurie Foos's engaging novel The Blue Girl is a surreal yet very readable account of secrets and despair. "The prose is clean, exacting and approachable, which makes the arrangement of the book — and the swirling vortex of complicated psychologies — even more impressive and heartbreaking." I'm not a writer who is able to write while listening to music because I'm generally too distracted by either the lyrics or the emotions that the song brings up in me to keep my head in the work while I'm listening. I have young children and both of my parents were ill in the past few years--one of them for a long period during the writing of this novel--and since then, my car has become my listening haven. These are some of the songs I listened to during the writing of this novel, either for direct inspiration, or to help move myself back into the emotional space that the novel took up in me. There probably isn't a song about some aspect of life that Paul Simon hasn't written about. Though I read once that Simon got the title from the item on a Chinese restaurant menu, it's a song that feels emblematic of the waves of loss you feel when you've lost someone you love. It's an upbeat song with a reggae feel, but that line, "I would not give you false hope/on this strange and mournful day" has always made me think of loss. Since the novel centers on the relationship between mothers and daughters in that push-pull period of the teen years, this was a song that kind of typified that for me. I also can't listen to it anymore without imagining Aida Turturro smoking a joint in her car after leaving her mother, Livia, on The Sopranos, and I just love that scene and think it said so much about the complexities of mother-daughter relationships. I lost my mom before the novel was finished. She was ill for a very short time and then died unexpectedly. This is a song I listened to many times on drives home from seeing her. I love Stevie Nicks and her gravelly vibrato, her shawls, her hair, her persona. People have always wanted to hear this as a song about her breakup with Lindsay Buckingham, which perhaps it is, but the loss in it says more to me, especially the line, "Can I handle the seasons of my life?" I'm not a country music fan, though my mother was, and after she passed away, I inherited all of her CDs. I almost gave this CD away but saw this title on it and listened and found it one of those serendipitous gifts you sometimes get if you're paying attention. The characters in this novel all have something of a difficult relationship with this small lake town where they live, just as the speaker in this song does, as she waits to leave in the night. "This ol' town will never change/And it's what I love the most/And it's the reason I must go." The women in this novel all have husbands who are, for reasons both in and out of their control, emotionally distant from them. One of the characters, Magda, frequently yearns for the early days of her relationship with her husband. When I would get stuck on her voice--there are six first person points of view--I'd sometimes drive around and play this song, and it would help me find my way back in. It sounds silly to say, probably, that I'd never heard this song until I'd just about finished with the novel. A friend wrote me and wanted to know if I've been inspired by this song. I don't think I admitted that I'd never heard it, as here I was writing a novel about women who make moon pies. It's such a strangely quiet but powerful song, especially the lines, "You could cry or die/Or just make pies all day/I'm making pies." It doesn't sound at first like a feminist song, but if you listen to the lyrics, you'll hear the quiet conviction of a woman who refuses to give up, even if life means making pies all day.